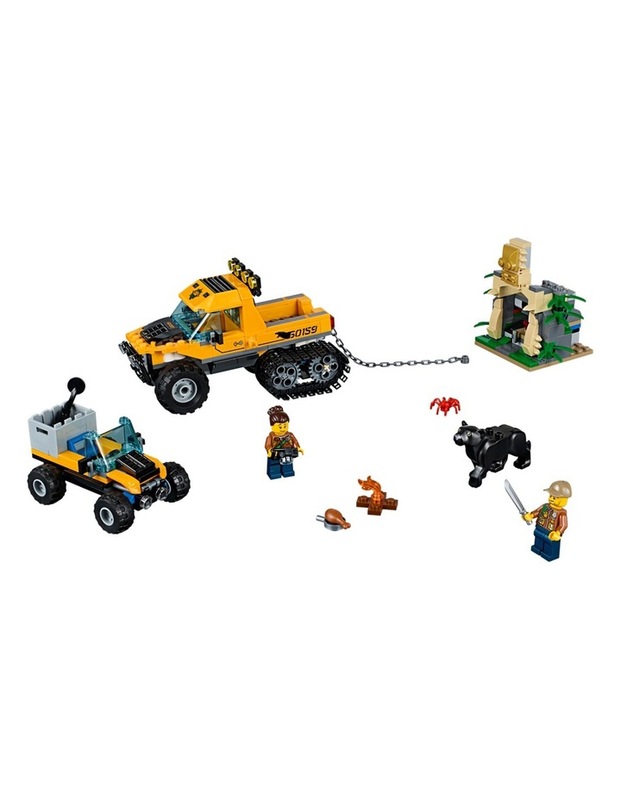 Includes 2 minifigures: male and female explorer, plus panther and spider figures. 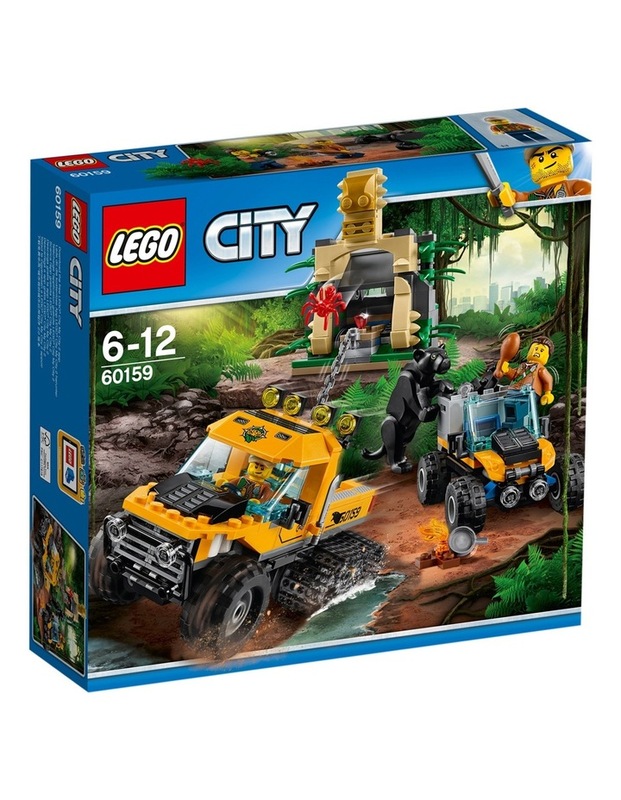 Features a half-track truck with space in the back for a chain and tools, an ATV with removable crate, and a buildable temple with trap function and diamond element. Move the stone to access the diamond, then hook the chain over the diamond to pull it out of the temple. Toss the drumstick to distract the panther. Accessory elements include a camera, machete, walkie-talkie, pan and a buildable campfire. Halftrack truck measures over 3 (9cm) high, 5 (15cm) long and 2 (7cm) wide. ATV measures over 1 (5cm) high, 3 (9cm) long and 1 (5cm) wide. Temple measures over 3 (9cm) high, 2 (6cm) wide and 2 (6cm) deep. Panther figure measures over 3 (8cm) long.